There is a wide body of dietary research that gets reviewed when coming up with the Dietary Guidelines for Americans every five years. The guidelines are based on actual scientific research, and the committee charged with the development of updated recommendations go through serious review of the literature and have thorough discussions steeped in science. But who pays any attention to this? Not too many people I guess, including some medical doctors who enjoy coming up with the next gimmicky diet plan. Enter: Pegan. I was hoping it was a quick fad news story that would go away, but it hasn’t. On the surface it’s the most ridiculous thing I’ve heard. 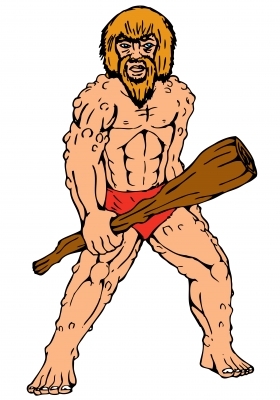 Just the fact that it’s a combination of the Paleo diet craze and a Vegan diet – creates absurdity, since the paleo diet is all about living like a caveman and eating a lot of meat (while a Vegan diet eliminates all animal products – food and otherwise). The premise is to eat as those in the Paleolithic era did (2.5 million years ago), as hunter-gatherers. The Paleo diet focuses on animal protein. It also emphasizes eating a variety of vegetables (this is always a good thing, and of course a Vegan diet shares this aspect of Paleo). Paleo is all about food products such as “clarified grass fed butter”, coconut products, and some healthy fats such as olive oil, nuts and seeds. A Paleo diet shuns wheat, favoring almond meal and coconut flour. Other than your clarified butter, you have to say goodbye to dairy foods too if you want to “go Paleo”. It’s essentially a gluten-free diet, that eliminates grains, including corn, oats, rice, rye, wheat and quinoa. The craziest thing about the Paleo diet is that eliminates beans, peanuts, and legumes – all nutrition powerhouses! So how in the world can a Paleo diet mesh with a Vegan diet which is heavy in beans, legumes, soy, grains and vegetables? Who thinks up this stuff? Why do we need “high profile physicians” making up new diet names when we have a perfectly healthy, and evidence-based diet already on the books? I guess new words such as “Pegan” make better talk-show soundbites than “scientific research shows DASH Diet is beneficial in lowering blood pressure, managing diabetes, and weight control”. Makes me wonder how invested they really are in your health. 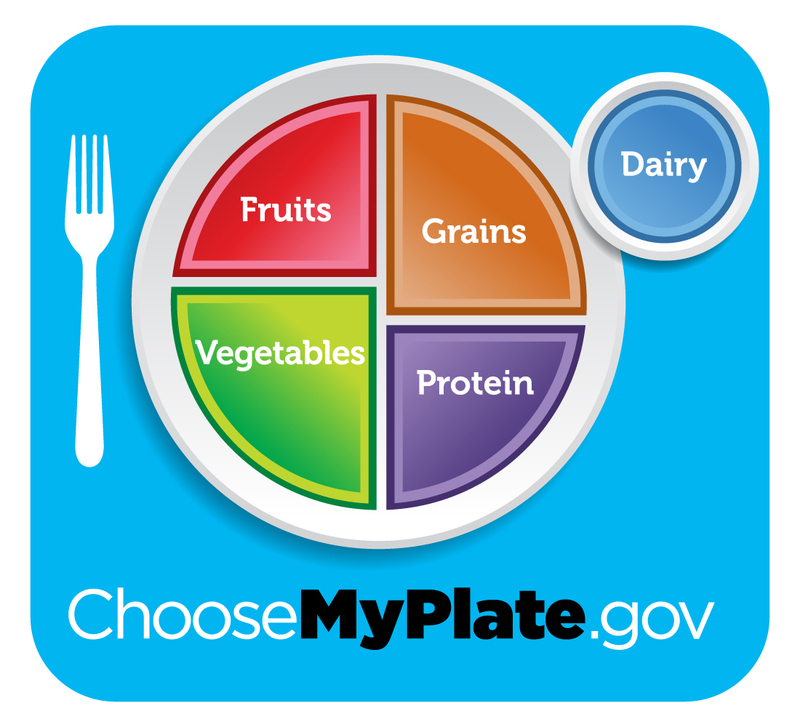 …let me let you in on a secret: It’s actually MyPlate, without the dairy, that you are going to be following, so it’s not really that cool. I guess I’m not that cool either, and we’ll both have to come to terms with that (JK – Science is totally cool). For more information about the DASH Diet, see the National Heart Lung and Blood Institute and of course, our books. PS – the term ‘grass-fed’ is a misnomer. Farmers will explain that a more accurate term is ‘grass-finished’ as all cows eat grass. Learn more by reading my grass-finished beef farm tour blog. This entry was posted in DASH Diet/Wellness, Heart Disease, Just for Fun, Misc, Weight Loss and tagged dash diet, fad diets, healthy diets, heart health, Pegan, vegan by Rosanne Rust. Bookmark the permalink.